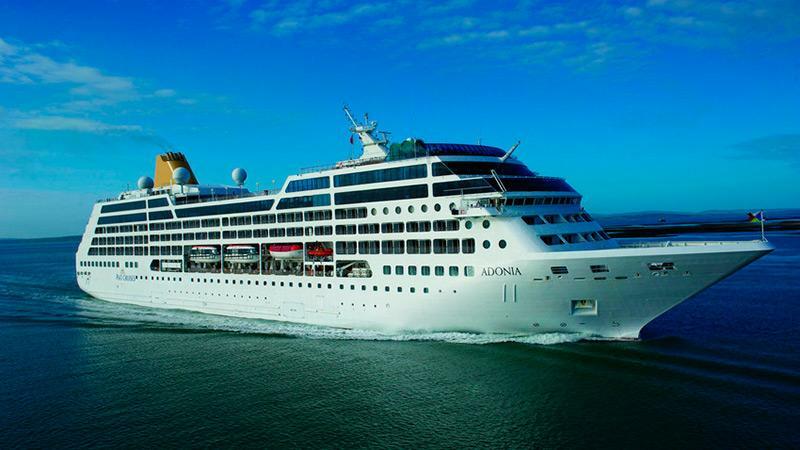 Carnival's cruise to Cuba will be aboard the MV Adonia, a 710-passenger vessel. Travel to Cuba is about to get a big boost. Carnival Corp. & PLC, the world's largest cruise operator, has been granted approval by the U.S. government to begin cruises to Cuba. The trips are scheduled to begin in May 2016. Operating via the provision in the new U.S.-Cuba guidelines that allows so-called "people to people visits," Carnival, a $15.8 billion company, intends to create approved Cuban itineraries "for the purpose of providing cultural, artistic, faith-based and humanitarian exchanges between American and Cuban citizens." The cruise line is in works to get approval from the Cuban government to make the plan a reality. Cruise ships can alleviate Cuba's growing problem of adequate hotel space; as travel increases to the country, hotel rooms (especially the nation's premier ones) are becoming harder to book during busy times. The cruises will operate via Carnival's new Fathom line, the company's tenth global brand. Fathom, which is British in ownership, got its start on June 4 and was created as a way to combine volunteer work and social awareness in a cruise ship setting. Fathom's first voyages are scheduled for the Dominican Republic. Carnival expects 37,000 passengers a year for Fathom. Americans wishing to travel on Carnival's Fathom line to Cuba in 2016 will require a Cuban visa and a valid U.S. passport. A Carnival spokesperson said: "As part of its license requirements, Carnival Corporation will obtain a certification from travelers confirming their compliance with the travel authorization requirements under U.S. regulations." While these cruises will bring travelers to Cuba, the cradle of the cigar world, cigars will not be welcome on the ship itself. "As of right now," said the Carnival spokesperson, "Fathom is an entirely smoke-free environment." Smoking is prohibited everywhere on board, even the outside deck. Fathom Travel Ltd. is a unit of Carnival Corp., considered the largest cruise line in the world. The public company (CCL on the New York Stock Exchange) has headquarters in Florida and London. Cruise Marketwatch estimates that Carnival has 48.1 percent of the 2015 cruise passenger market share and 42.2 percent of the revenues.